Who says a color can’t serve in a neutral palette? Shades of blue in varying patterns add transitional aesthetics to an otherwise traditional space. Getting tired of the same fabric on your furniture? 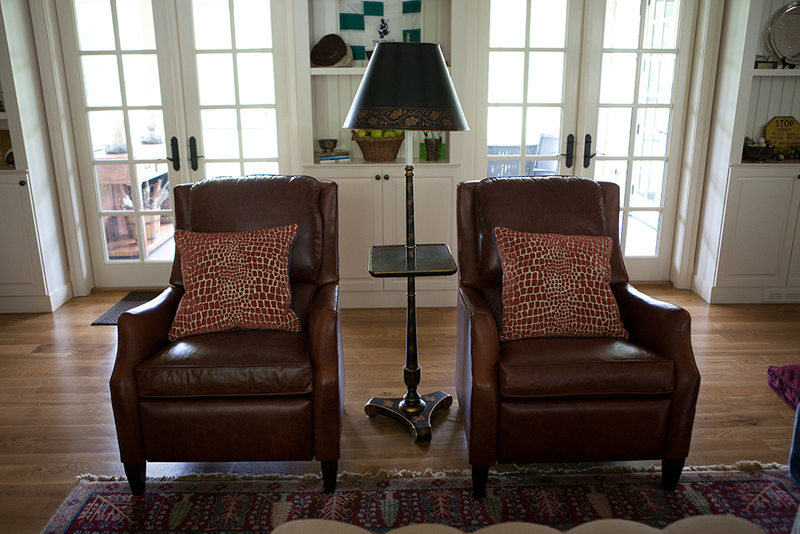 Try a custom slipcover for a quick update!